Sorry for the delay in getting this out. My life has been quite busy lately, but things are getting back to normal now. 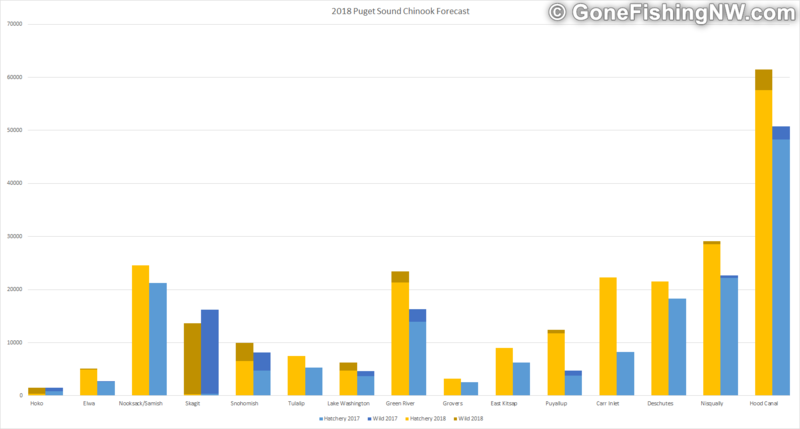 This year’s forecasts have some high points. One thing to remember is the forecasts are, at best, more art than science. We should expect the returns to generally be different. Hopefully they will prove to be significantly better, rather than worse. My summary of the forecast is below. 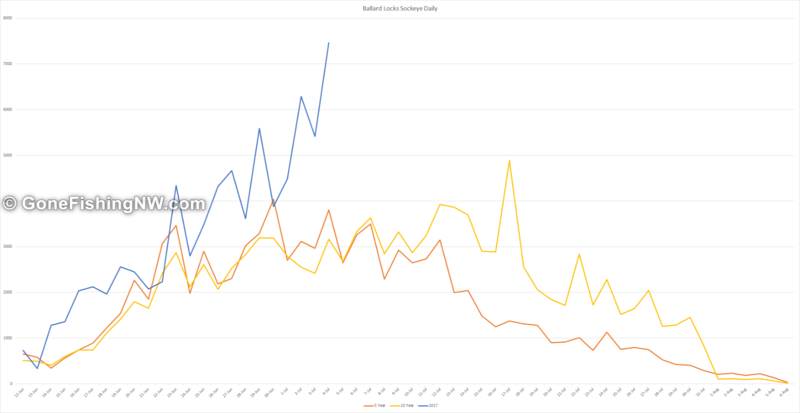 Pink salmon return on a two year cycle. 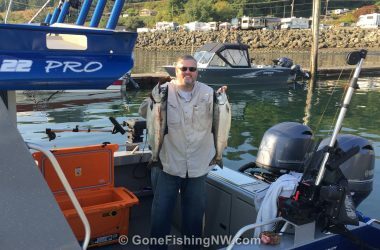 This being an even year there is no sizable return of pink salmon expected. For Puget Sound most of the returns are up from last year, which isn’t saying much since the returns were low last year. Compared to last year the results are mixed. The forecast is down for some rivers, while up for others. The Green River, Snohomish and Puyallup have gone up a decent amount. 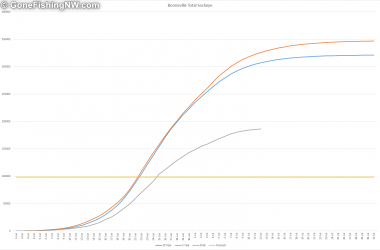 However Hood Canal and the Nisqually continue to have the highest forecasts for the region, just like last year. 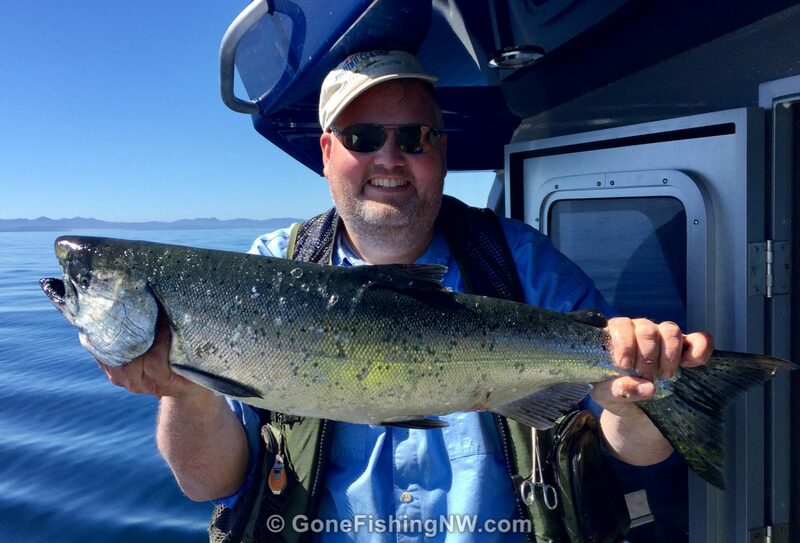 Overall we should see more chinook fishing opportunities for the Puget Sound area. 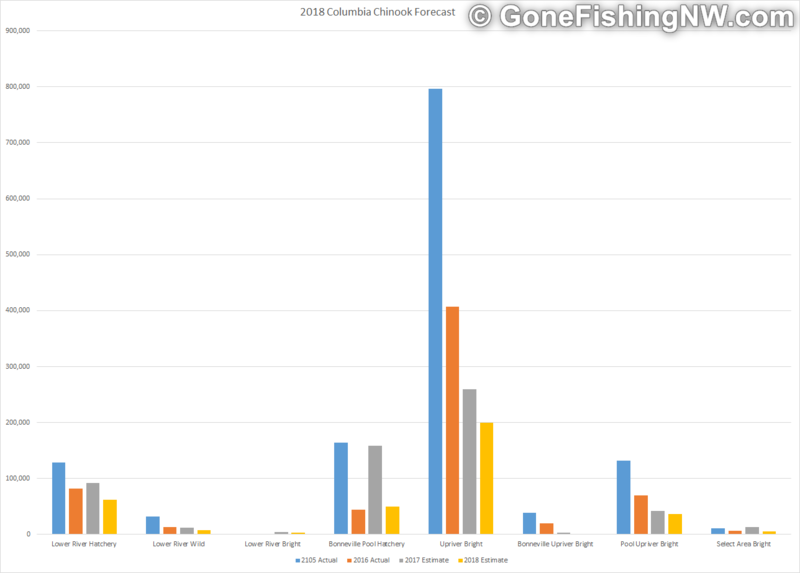 This is the 3rd year in a row that Columbia River Chinook is forecasted with lower returns than the previous year. 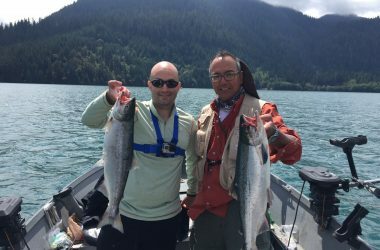 Recently, the WDFW announced a closure for Chinook in the Columbia over concerns about the low return. Expect that pattern to continue through the year. 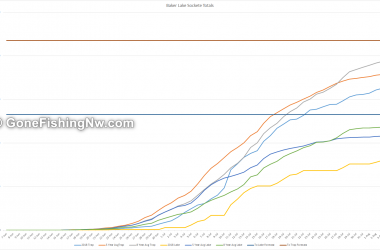 Some river systems, like the Nooksack, Skagit, Skokomish and Grays Harbor see a significant increase than last year. 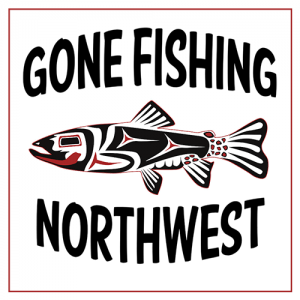 However the Samish, Snohomish, Willapa bay are down. This year will likely have good fishing in spots, but poor fishing and closures in others. 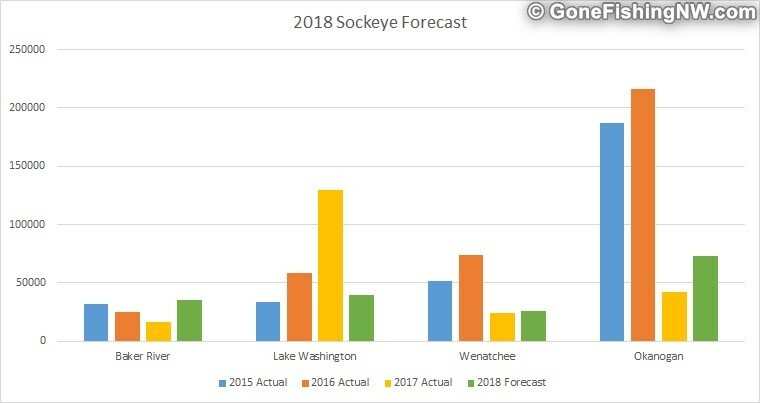 Sockeye is usually a bright spot in the forecasts, but this year’s forecasts were low enough that only Baker Lake would have a fishery. Well we are part way through the season and things are different. 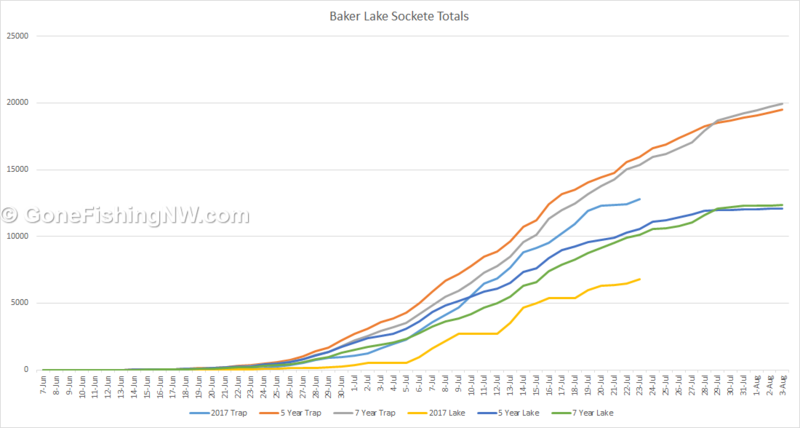 As I write this the sockeye counts at Bonneville Dam have top 180k, blowing away the pre-season forecasts. 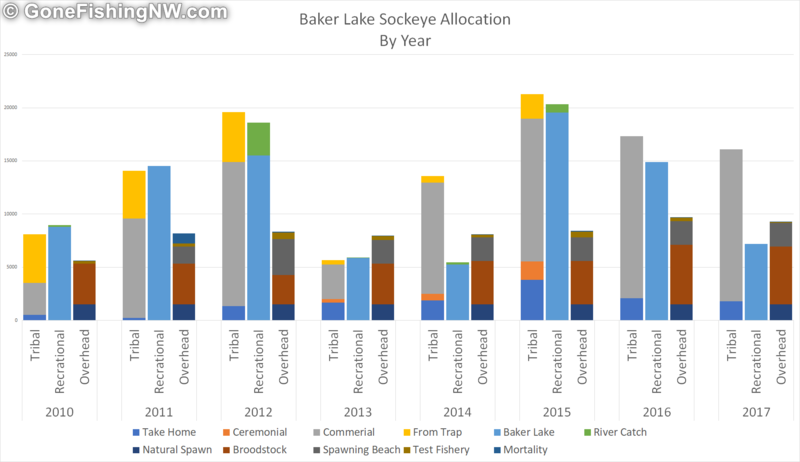 The main Columbia got a surprise sockeye fishery due to this, although it is still too early to know if Lake Wenatchee will have a fishery. Lake Washington returns look like they will not meet the forecast, let alone the outrageous escapement goal. Baker lake returns seem to be more or less on track. However don’t let the 35k number make you think it will be a slam dunk fishery. The hatchery and tribes take their cut before the fish reach the lake. 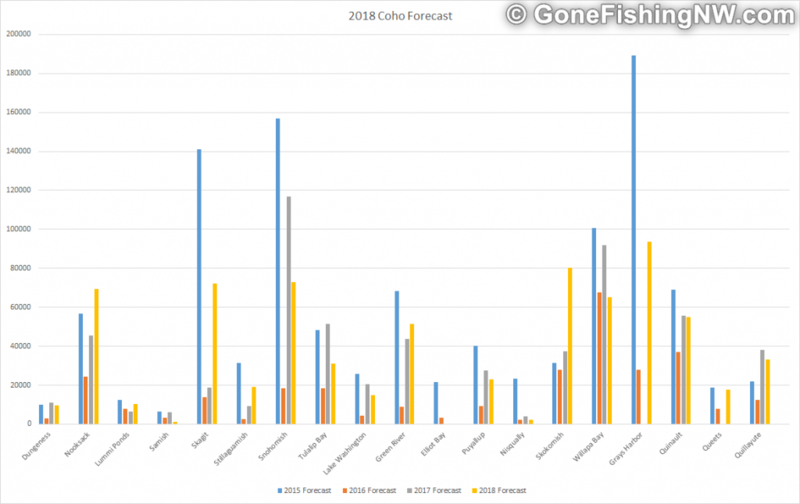 Expect about 12k fish to the lake if the forecast is accurate. Read here about how that works. For those wanting the complete data, please check out the North of Falcon web site. Its great they make the data available, however each document is formatted differently and there is limited historical data. Hopefully they will start doing a better job in making the data more consistent and easier to understand. Want to get the latest fishing news and tips? Subscribe to our weekly newsletter or connect on Facebook. Please share your opinion of the forecast. What do you think about how the WDFW/North of Falcon shares the information? What would you like to see them improve on?